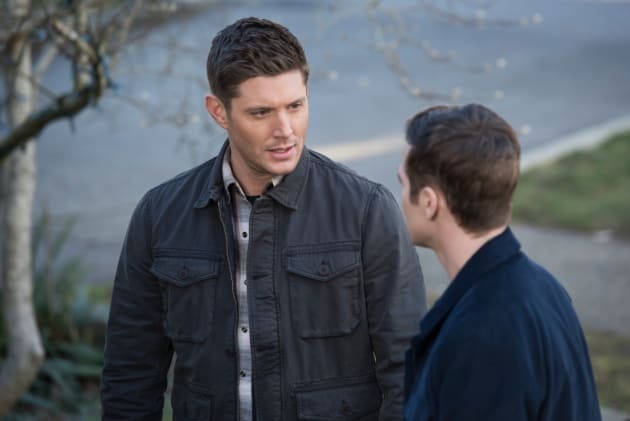 Dean and Jack take a road trip to visit a friend on Supernatural. "Peace of Mind" is the 15th episode of the show's 14th season. 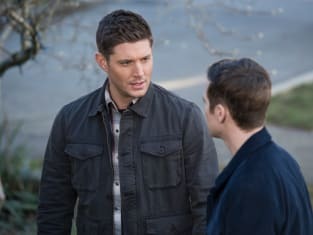 Supernatural Season 14 Episode 15: "Peace of Mind"
This town is strangely picturesque. Permalink: This town is strangely picturesque. Sam: Like a ripe melon on the sun? Cas: It was an apt metaphor. Sam: Well, next time try not being so ... apt. Permalink: Well, next time try not being so ... apt.